Here's your overly-pretentious, self-important fragrance ad of the day. What? You take offense with our assessment of said ad? Fear not. It's actually a complement. After all, every successful fragrance has to be overly-pretentious and self-important. Otherwise, it wouldn't be a fragrance ad. It'd just be some piece of crap trying to sell a smell. 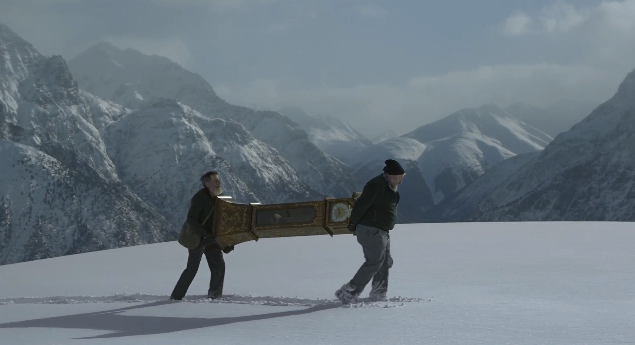 We love this Spillman/Fesler/Leo Burnett-created tourism spot for Switzerland that goes to great lengths to prove just how serious the country is when it comes to providing a pace to relax on vacation. The work is beautifully shot and captures the true beauty of the country. You can almost believe the two men in this commercial actually did travel the entire country dismantling it of all time pieces. We especially like the treatment the rooster gets at the end. Nicely done. El Segundo's Team One, along with Serial Pictures Director Jonas Akerlund, have come up with a message for Sandy...and any other kind of weather that might crimp your style; don't even try. Because, according to this commercial, stylish is stylish no matter what Mother Nature thinks. Though we think prancing about in high heels in the middle of a snow storm is a bit much, we aren't going to complain. We'll take any chance we can get to watch a hot women in high heels, a mini dress and flaming red lipstick saunter down the sidewalk. We're easy to pleas that way. Queen's Bohemian Rhapsody. A classic with such staying power it will likely be played as we earthlings launch our first armada of Starships into space some hundred years or so from now. 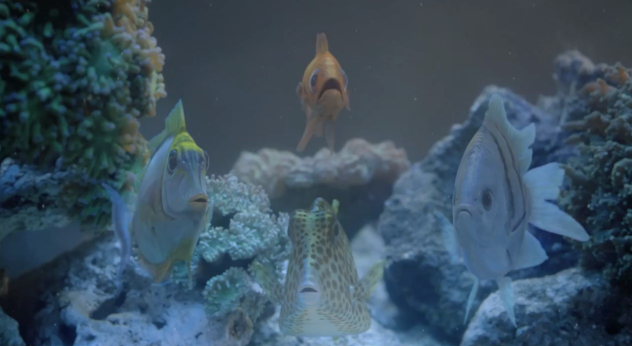 But, for the time being, Brazil's F/Nazca Saatchi & Saatchi has put it to use in a new commercial for Trident. To illustrate the refreshing, full flavor of Trident Fresh, a man experiences a bit of Queen while visiting an otherwise very quiet pet shop. Produced by Stink Sao Paulo, the :60 is filled with a menagerie of digitally animated pets that deliver full bore Bohemian Rhapsody. We last saw Bohemian Rhapsody bring bravura to an ad for the new Cosmopolitan in Vegas. A little Old Spice. A little DollarShaveClub. And a little, well, just odd. Here's some new work from Quebec agency 32 Mars for cold remedy medicine GOLDaid featuring a hot French guy wearing next to nothing. Our man attempts all kinds of cold remedies before he turns to GOLDaid. Mustard massage. Spicy Soup. And a full immersion ointment bath. But, in the end, it's GOLDaid (with help from the internet) that brings relief. 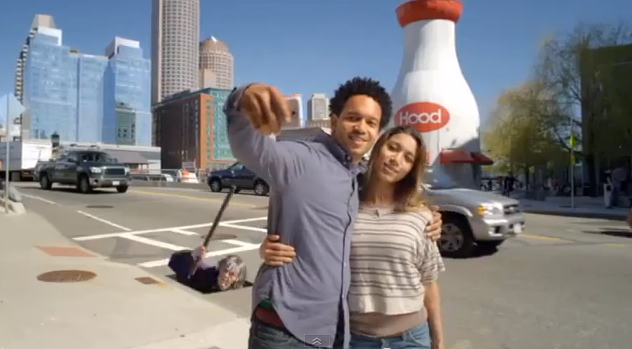 In a nice Halloween-themed outing, AT&T, with help from BBDO, has discovered ghostbombing. Previously escaping discovery, it seems ghosts have been photo bombing our mobile device pictures for, well, ever. With the HTC One X's ability to take pictures from a video, we can now see that ghosts having been having the time of their long lives toying with us as we mug for the camera. 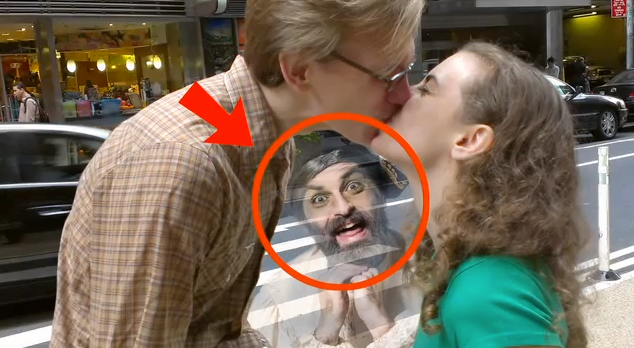 In the video below, fictional PhD Leslie Enlow lets us in on ghosts' devious behavior and how, with the HTC One X, we, too, can see if ghosts are photobombing us.